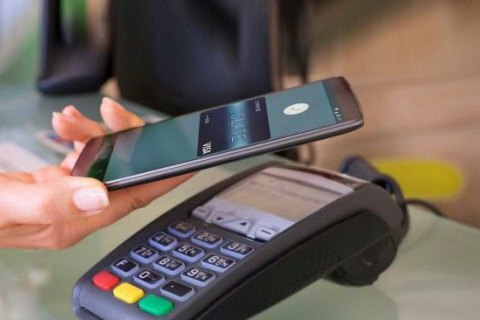 In Ukraine, started a service for contactless payment with Android smartphones to Pay – make purchases via the app to the smartphone through POS-terminals of the Bank. this was reported on the website of the Bank. “using a smartphone as a payment instrument is very common in the advanced countries of the world. It becomes a trend in Ukraine. Increasingly, we are seeing how Ukrainians use mobile wallets in smartphones to make payments… We are ready for the arrival was developed by company Google service Android Pay and will not fail those who want to use it to make purchases. This can be done through the terminals with contactless technology. They are already 75% in our terminal network. In a few months we will complete updates to all POS-terminals were equipped with a module for reading contactless payments, including Android Pay”, – said the Deputy head of the Board oschadbanka Anton Tyutyunov. Android Pay – by Google technology to pay for goods/services through special apps on your smartphone that you can download in the Google Play Market and contains information about payment cards of the customer (the Bank that issued the card, should be a partner Android Pay). To pay, Android Pay enough to unlock the phone with NFC function and bring it to the terminal. Recall that in February 2017 on the Google Play Market is available for download and use the official mobile application for the sale of tickets for the Android operating system. The app has been downloaded almost 122 thousand times.